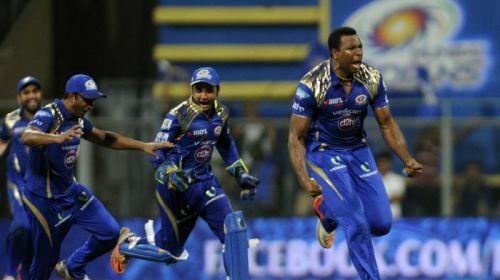 Mumbai Indians, the three-time IPL champions are all set to kick start the 2019 IPL with a clash against Delhi Captains on this Sunday. The franchise had already won the hearts of the fans when they picked Yuvraj Singh at the last minute in the 2019 IPL auction. The Mumbai- based franchise has won the IPL in every alternate year since 2015. They are one of the favourites for lifting the trophy. Mumbai is already making some surprising changes ahead of the season. It's confirmed that Mumbai Indians captain Rohit Sharma will open for them in all the games this season. Rohit has opened in only 19 innings for Mumbai throughout the IPL. The numbers have been very surprising, considering the success of India's vice-captain in International T20Is. However, it's the right move by the franchise. 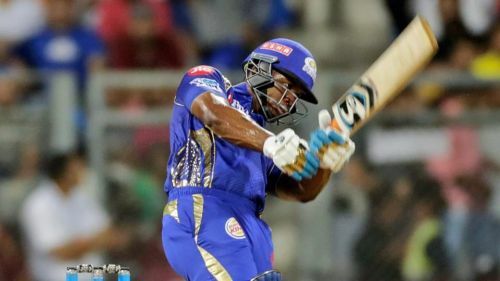 Last season, the think tank had opted to open with Suryakumar Yadav and Evin Lewis. However, this year along with Rohit, we could see a change in the other opening slot too. The Mumbai based franchise might go with South African wicketkeeper Quinton De Kock for another opening slot. Picking the correct overseas combination is the key to winning games for any team in IPL. And so, the franchise should be wise in picking the right players. Let us see the predicted overseas players for theMumbai Indians in their opening game against Delhi Capitals. Mumbai might go with Evin Lewis for the opening game. The ideal candidate for the future games could be South African wicketkeeper Quinton De Kock, but he might not be available for the opener's spot as he will be on national duty for South Africa against Sri Lanka. The West Indian opener played for the same team in the last season too. He scored over 350 runs and looked really aggressive with the bat. The opening combo of Evin Lewis and Rohit Sharma could be deadly on any given day if they get going. Mumbai has a strong middle order with the likes Ishan Kishan, Suryakumar Yadav and Yuvraj Singh. Hence, getting a good start will be the key for them to pass the baton to the middle order. Follow Sportskeeda for all the updates on IPL 2019 timetable, news, points table, live scores, orange cap, purple cap and fantasy tips.